Celery is one of the most popular health vegetables around. I mean, it’s just water right? Whilst it’s true that celery is 95% water and great for humans. You need to be careful when giving it to your dog. 2 Is it good for dogs? 4 How much celery is too much celery? 5 What about cooked celery? 6 Can I give my puppy celery? Celery is part of the Apiaceae family (the same one as carrots and parsnips). It’s a marshland plant that has been around pretty much forever. It’s a great source of manganese, folate and all that other great stuff you know is good but don’t know why. Archaeologists have found celery in Egyptian tombs and the Greeks thought it was a holy plant. They even used to wear it on necklaces! Since they were first discovered, celery seeds have been used in herbal medicine for arthritis and as a mosquito repellant. In fact, it wasn’t till the 1600s that we started to eat celery. Bit more than the solid green water you thought it was, huh? Yes! Well, almost yes. Those same minerals that are so great for us, are also really beneficial to your dog! It’s really high in vitamin K, which is great for maintaining healthy bones. 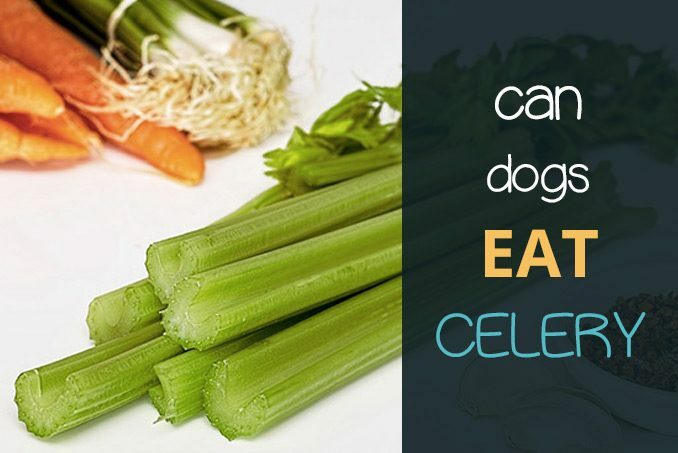 This makes celery a great treat for older or very energetic dogs. Celery contains tons of antioxidants as well. These are great because they help reduce inflammation and also lower cholesterol! The fact that celery has such a high water content, but is so low calorie, makes it a great treat; it’s healthy but still packs a bit of a crunch. This also makes it an awesome treat on a hot day when your dog is a little dehydrated. So, in answer to the question, celery is great for dogs! It can lower blood pressure, stave off disease and is an all-around great treat. If you do feed your dog celery, it must be cut up. If you’ve ever seen dogs eat, you’ll know they tend to gobble, not chew. Now that’s fine if it’s Purina Puppy Chow, but not if it’s celery. Large chunks of celery can make your dog to choke or even cause intestinal blockage. So please cut it up into little chunks! Celery also has a really high salt content compared to other vegetables. Whilst this is fine in the short term (your pooch will just wee more) too much celery in the long term can put pressure on the kidneys and cause raised blood pressure. Celery leaves are a bit of a grey area. 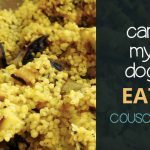 They contain more nutrients so might be great for a dog with vitamin deficiencies. But they also contain a pepper-like spiciness (similar to the rocket) which could cause discomfort to your dog. Unfortunately, there is very little research on celery leaves. So it might be best to give them a miss until we know more. 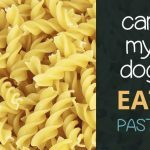 Whenever you introduce a new food to your dog’s diet you need to be careful. Start giving a few little pieces each day and monitor any negative changes that you may see. If there aren’t any, then celery is probably fine to introduce as an occasional treat. How much celery is too much celery? The number of treats you give to your dog should be around 10% of its total food. Celery falls under the treat category. We don’t expect you to take out your weighing scales and calculator here, but be sensible. Don’t replace any of the main meals as celery, but as a treat it’s fine. 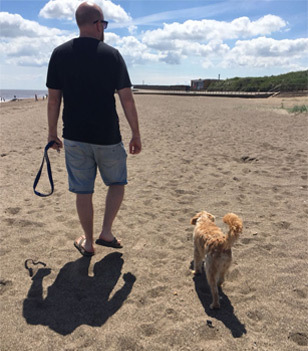 In fact, if you’re training your dog and using a lot of treats, it’s great! Because of it being low calorie, you don’t need to worry that your dog will gain weight. Whilst cooked celery probably isn’t going to harm your dog, it won’t do it much good either. There really isn’t any benefit of cooking celery for your dog. As we’ve already said, introducing new foods can upset your dog’s stomach. So it doesn’t make sense to add another food which could disagree with it. Cooked celery has lost a lot of the nutrients that are so beneficial. 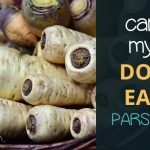 Which takes away the main reason you wanted to give your dog celery in the first place! Cooking also breaks down the carbohydrates into sugars, which causes problems like tooth decay and can even lead to diabetes! Another reason not to cook celery is that it loses its crunch. The crunch was one of the things that made celery so great. So there really is no point in cooking it. If your dog is anything like mine (a hoover!) it’s unavoidable that it will pick up the occasional bit of food that you’re cooking with and eating. And it’s fine if it pilfers the odd bit of cooked celery. But really, there’s no point in cooking celery to give to your dog. So if you are set on feeding your dog celery of some kind. Raw celery is the way to go! Can I give my puppy celery? Experimenting with foods for your puppy really isn’t worth the risk. 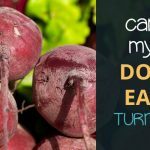 At this age, they have only just got used to eating and digesting solid foods and giving them anything new can cause real upset. Special puppy food is well researched and balanced to give your pooch the best start in life. There really isn’t much point risking going away from that in the beginning. Make sure to always consult your vet before feeding your puppy anything not recommended. No matter how good it is for us! So can my dog eat celery? If you notice anything wrong, stop with the celery! Remember that humans are omnivores. Dogs are carnivores. Whilst it’s true that they can have some vegetables, they’re simply not designed to process it in the same way. So make sure not to overload your dog’s diet with celery. It should be a treat and not a replacement of their meal. “Apiaceae | Plant Family.” n.d. Encyclopedia Britannica. Accessed October 3, 2018. https://www.britannica.com/plant/Apiaceae. Burke, Anna. 2016. “Can Dogs Eat Celery? .” American Kennel Club. 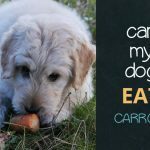 August 15, 2016. https://www.akc.org/expert-advice/nutrition/can-dogs-eat-celery/. “How Much Water Is in Your Food?” n.d. @berkeleywellness. Accessed October 3, 2018. http://www.berkeleywellness.com/healthy-eating/food/article/how-much-water-your-food. “Slideshow: Foods Your Dog Should Never Eat.” n.d. WebMD. 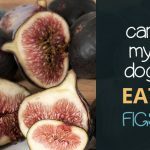 Accessed October 4, 2018. https://pets.webmd.com/dogs/ss/slideshow-foods-your-dog-should-never-eat. Therese. 2017. “10 Health Benefits of Celery – Dr Nandi.” Ask Dr Nandi. March 15, 2017. https://askdrnandi.com/10-health-benefits-celery/. Us, About. n.d. “History of Celery.” Accessed October 4, 2018. http://www.indepthinfo.com/celery/history.htm. “ Vitamin K1 vs K2: What’s the Difference?” 2017. Healthline. September 15, 2017. https://www.healthline.com/nutrition/vitamin-k1-vs-k2. “What Should I Feed My Puppy? | Purina.” n.d. Accessed October 4, 2018. https://www.purina.com/articles/puppy/feeding/what-should-i-feed-my-puppy.